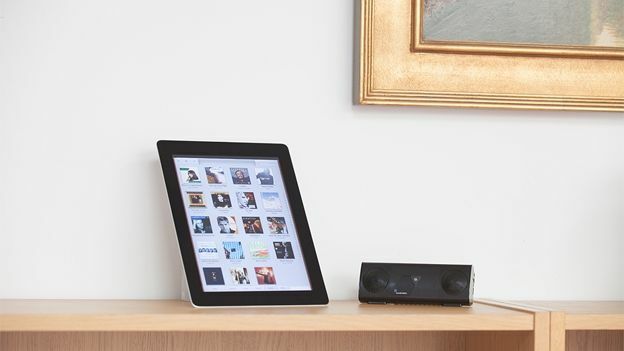 The foxL v2 Bluetooth is a portable speaker that plans to change the way you feel about portable speakers. Boasting some truly premium hardware under the shell the foxL v2 Bluetooth exists to prove the myth wrong. foxL v2 Bluetooth specs start with two 1-inch patented Twoofers which have been tuned to 100Hz giving them both a range that will allow a full eight octaves of uncompromised clear audio. On the back is another feature unique to the foxL v2 which is a Bass Radiator, both accenting the bass response but also giving the bass range an additional lower octave. Musical Fidelity claim the foxL v2 has a 12-hour battery life and will offer up handsfree calling thanks to Bluetooth 2.0 A2DP.